Did you know that Cozumel Island is one of the sunniest places in North America? Also, the water here is around 80 degrees or more all year round. With tremendous underwater visibility that can reach up to 250 feet and incredible marine life, Cozumel is the ideal snorkeling destination. Of course, this island has more than one unique spot where you can practice great snorkeling and Palancar Gardens Reef, close to el cielo cozumel beach, is one of them. Where is Palancar Gardens Reef located? Palancar Gardens Reef is in the southwestern part of Cozumel Island. 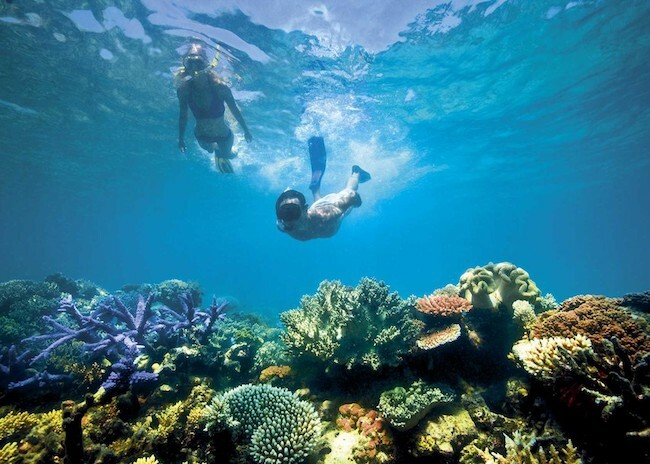 In case you didn’t know, the west coast of this island is the most critical area for snorkelers. So, this place is relatively close to the village of San Jose to the north and the famous playa el cielo to the south. You can get to this beach using the main road – Quintana Roo C-1. There is a paved road that will take you to the beach. 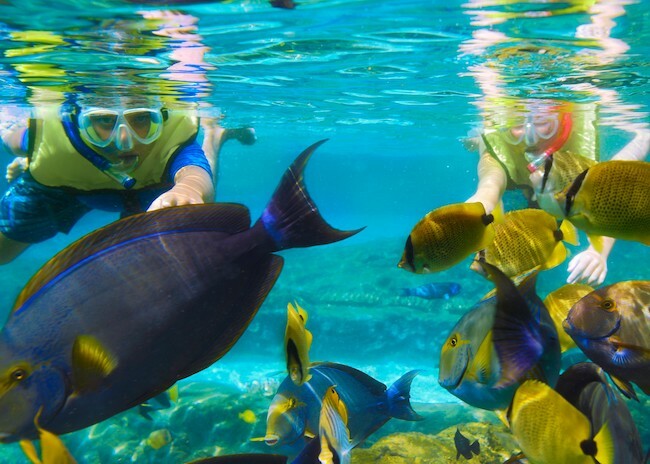 You can also go there by boat as part of an exciting snorkeling tour in Cozumel Island. The latter is a better option because you will get a different perspective of the area and learn a few things thanks to the guide. Why is Palancar Gardens the best Snorkeling Reef in Cozumel? Palancar Garden Reef is an impressive reef that consists of many different life forms. It has a depth between 30’ and 80’, and according to expert snorkelers, it’s good for novice and intermediate snorkelers. Many people who want to learn how to snorkel land in this spot. It is obvious that the current is not very powerful and in most cases it’s moderate. To start snorkeling, you have to cross the shallow area covered with fine sand and get to the wall. On your way, you will notice many high rock spires as well as some cliffs in unusual forms. Many of these cliffs have sponges and Gorgonians on them; this is a sight that you will never forget. What kinds of fish will I see when snorkeling at Palancar Reef? We can’t say that Palancar Gardens Reef has different kinds of fish in abundance. There are a few other places in Cozumel that have more fish waiting for snorkelers. However, what makes this reef unique is the presence of very high coral systems that have many different living beings on them. As we already said, this is a picture that you will remember forever. It usually takes between 1 and 2 hours to explore this area. While you are underwater, you will notice the beautiful sea turtles. They are very common in Palancar Gardens Reef. Besides, you will probably have a chance to see some butterflyfish, angelfish, black groupers and even some green moray eels too. Palancar Gardens Reef, just like the el cielo colombia reef, is an outstanding snorkeling spot located on one of the most beautiful places in Cozumel Island. Take a tour of this place if you want to enjoy top-notch snorkeling.